A new year calls for a new diary, and for me that means setting up a new Bullet Journal! 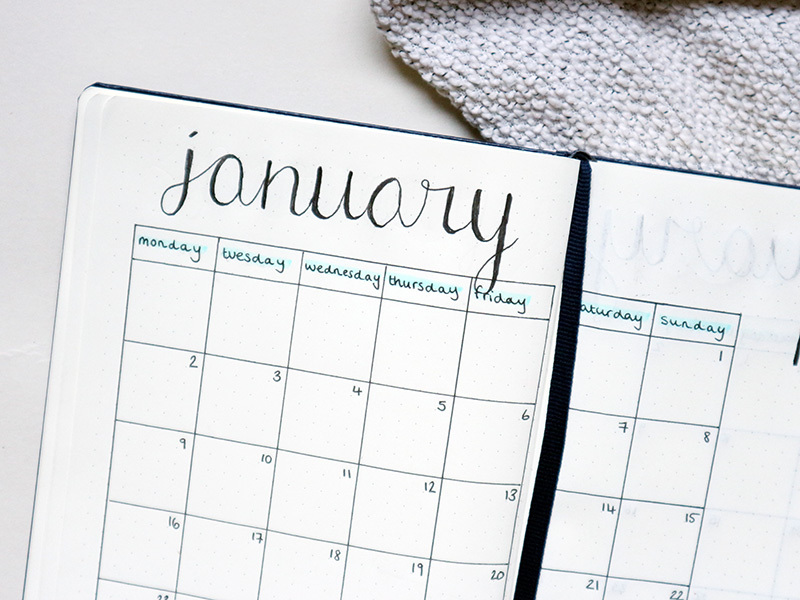 January always feels like a fresh start, and that's exactly what this Bullet Journal is for me. After using my first one over the past six months, I was ready to set up a new one for 2017, and put in to practice everything I have learnt form my bujo journey so far. My main aim was to keep it very simple and functional. I've stripped everything back, and just included the pages that I think will use throughout the year. 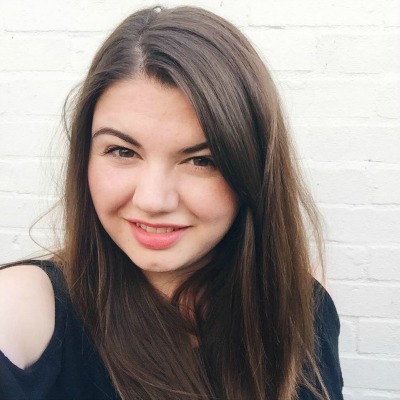 Quite a big chunk of my Bullet Journal setup is dedicated to my blog; it is such a big part of my life now, and I love using my bujo to stay organised and on top of it all. The first section of my Bullet Journal is dedicated to my monthly spreads. I find these so useful, and I really like being able to see my whole year at a glance. 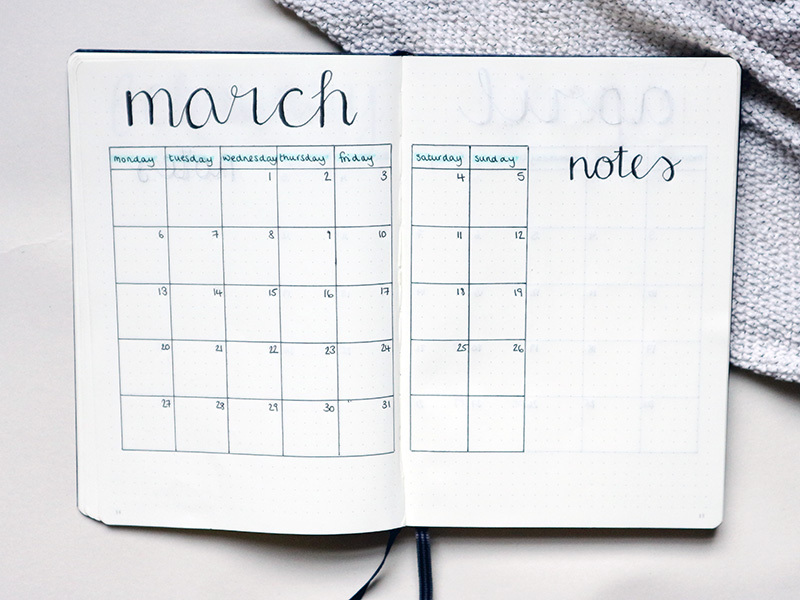 I keep note of all important information here, such as special events, birthdays, holidays and so on, and then I refer back to them when I set up my weekly spreads each month. 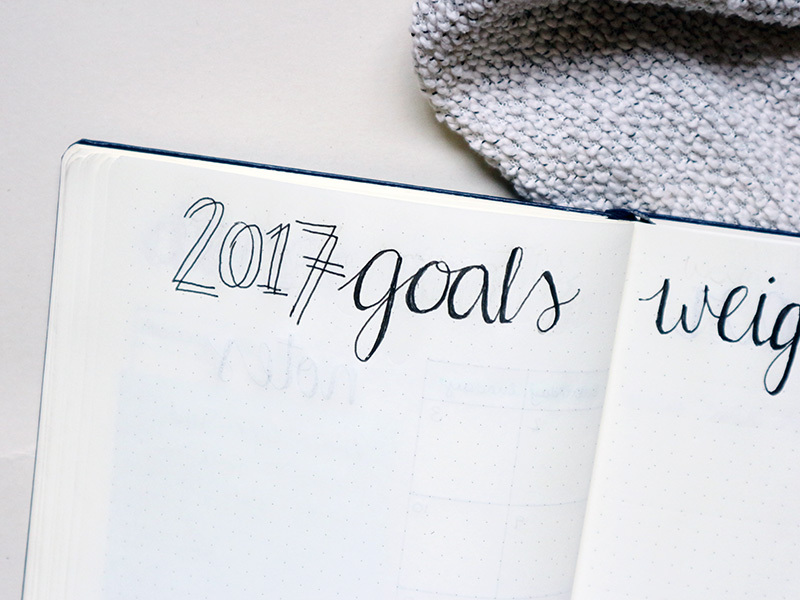 In the next section I have a page for all of the goals I want to set myself for 2017. I am a very goal orientated person, and although I don't always achieve them I like to have a clear idea of where I'm headed, and know what areas of my life I would like to improve. I find having a page at the beginning of my Bullet Journal, which I can refer back to throughout the year, is a really good way to keep track of how I'm doing. On the next page I have drawn out a graph where I can track my weight. One of my goals for 2017 is to lose weight, and I hope that creating a visual graph will help motivate me to stay healthy and encourage me to shift some pounds. Last year I set myself the goal of reading 26 books, and I completely smashed it! I used a page like this in my last Bullet Journal and being able to see how many books I had read, and how many more I needed to read until I hit my target was a really great motivator. 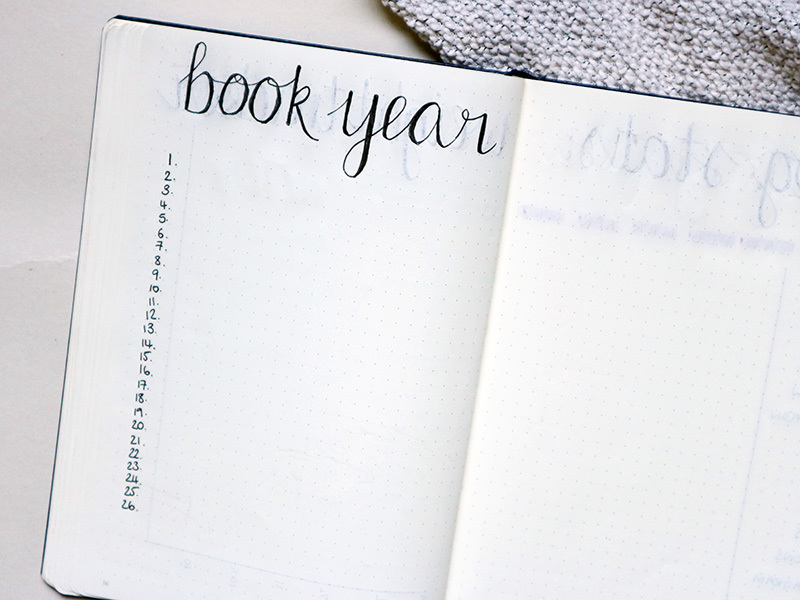 I've set myself the same target this year, so I have included a 'book year' page near the beginning of my Bullet Journal and I will update it as I finish books throughout the year. I've left the next page blank with the assumption that I will read more than 26 books, but if I don't I can always use it for something else. 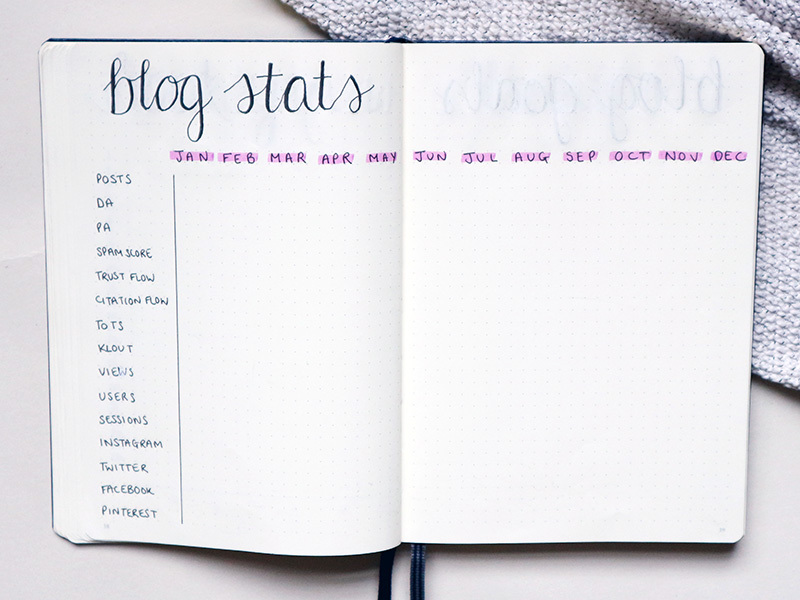 I started recording my blog and social media stats properly a few months ago, and I really wanted to create a place at the beginning of my 2017 Bullet Journal where I could easily track them all and compare how I'm doing month to month. 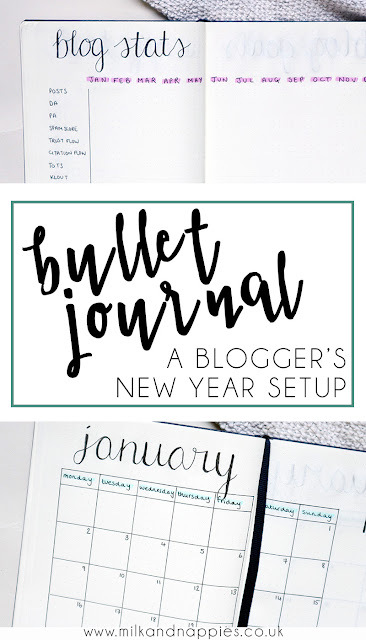 I would definitely recommend other bloggers to set up a page like this in their Bullet Journals as it is really handy to have all that information at a glance. It makes it so easy to see where you are doing well, and which areas could do with some improvement. 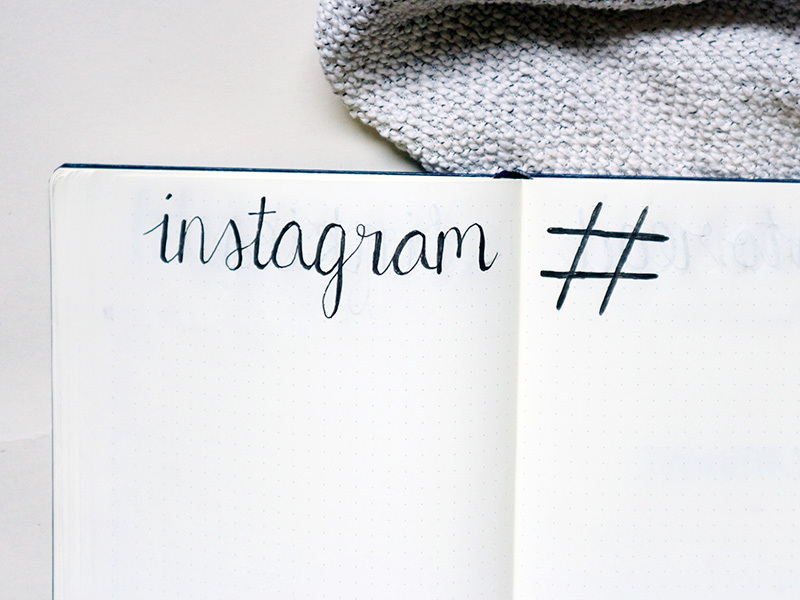 It is no secret that I am obsessed with Instagram (I've even set up my own hashtag community!) and I really wanted a section in my Bullet Journal to track my growth and list my favourite hashtags. Every time I hit a new milestone I will document it on the first page, and over time I will be able to see how quickly my followers have grown. The page for hashtags is really just for reference; every time I post a photo I use different ones, and having one page where I can see all of my favourites is something I find really useful. As well as enjoying writing my own blog, I absolutely love to read other people's. There are quite a few blogs that I like to keep up to date with, but because I'm really busy I often miss posts. 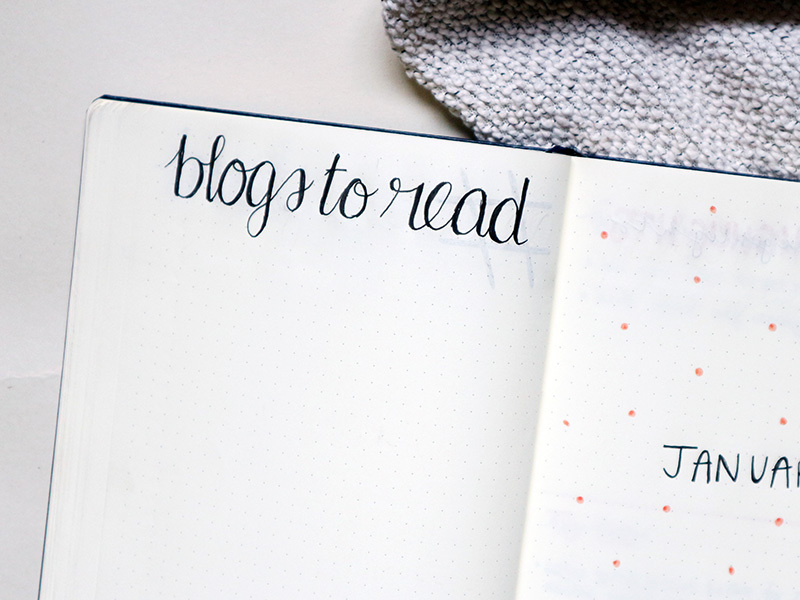 I wanted to include a page in my Bullet Journal where I could make a list of all of my favourite blogs, so that when I have an hour or so free I can sit down and go through them all and catch up on their posts! The Bullet Journal I use is a dotted A5 Leuchtturm 1917 in navy, with a Uni-Ball Signo Gel Grip pen which I love so much I bought a multipack of them! They make my handwriting look really pretty, although be warned, they do smudge quite easily. I also use the Zebra mildliners which are absolutely beautiful! They are highlighters in muted colours, and I am totally obsessed with the mint green and grey ones.